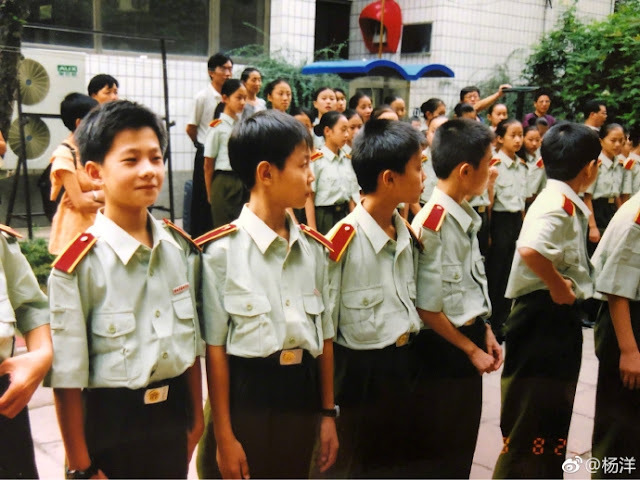 Fans of Yang Yang are in for a treat as he has recently shared some personal childhood photos on his Weibo account. 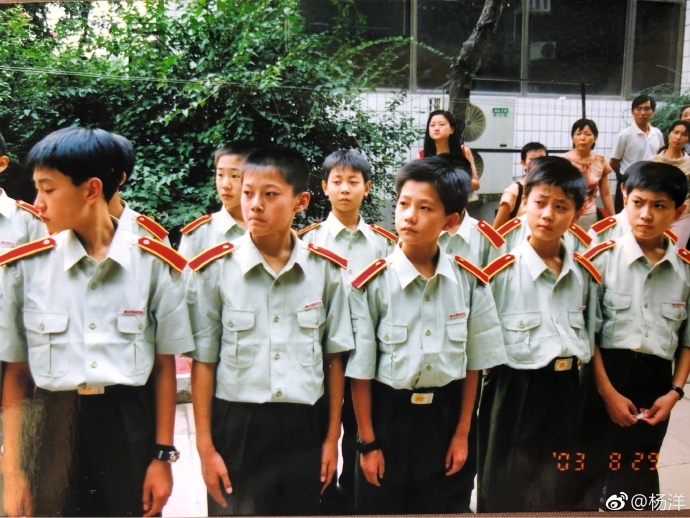 The photogenic actor, who even has his very own limited edition China Post postage stamp, can be seen dressed in a green school uniform, albeit a very much younger Yang Yang, standing at attention with quite a serious expression on his face. 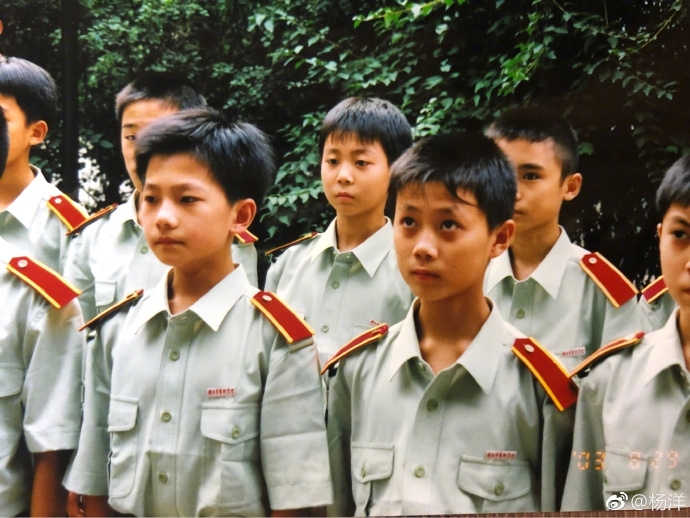 Looks like he was quite photogenic even then! The actor, who played the campus hottie Xiao Nai, captured viewer's attention in the hit romantic drama Just One Smile Is Very Alluring. While his other projects since then did not seem to fare well, many are excitedly awaiting him in The King's Avatar, a gaming drama which is the real life adaptation of the anime series of the same name where he plays professional gamer Xiu/Ye Qiu. 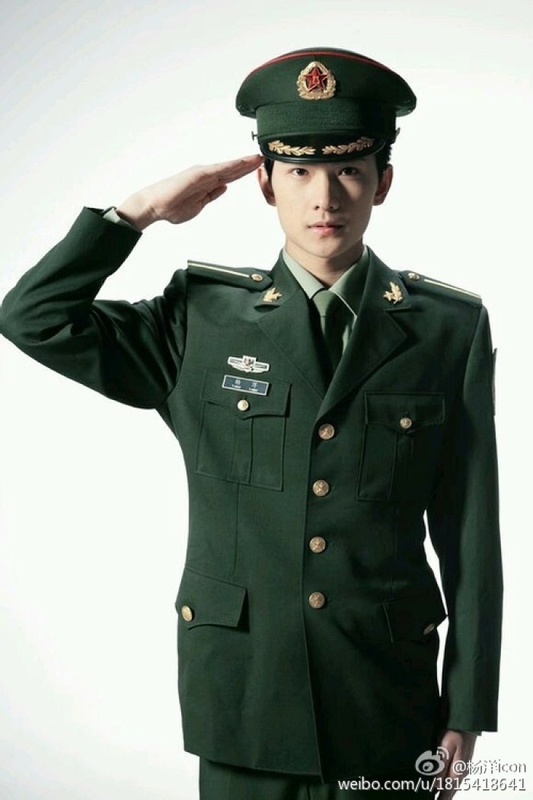 Yang Yang is also the star of a new military drama about the special forces (特种兵) which is presumably why he's been bulking up and has gotten a more standard issue hairstyle. 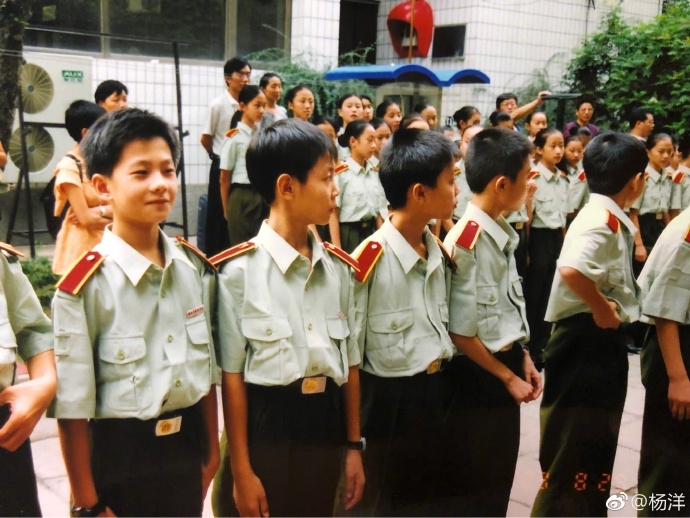 He looked good in uniform even in his old photos, what more now. So which kid is him ? It's still easy to recognize him. Picture #1 - 1st one on from the left,front row. Picture #2 - 3rd person from the left, front row. Picture #3 - 1st person from the left, front row.